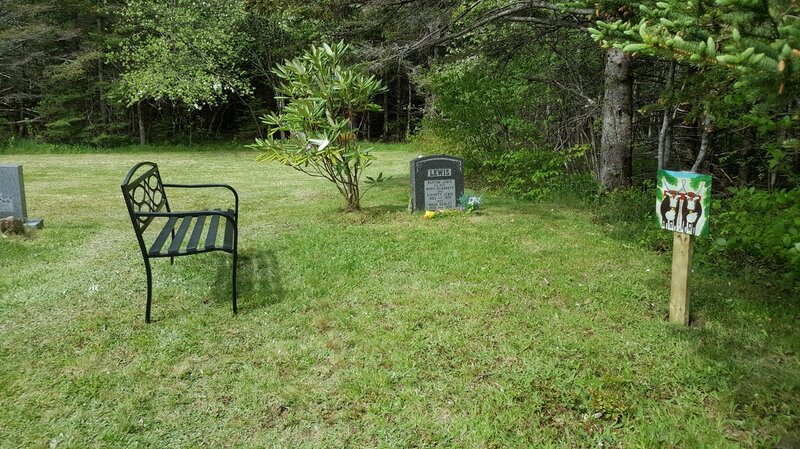 Maud Lewis's final resting place in the North Range Cemetery is a 10 or 12-minute drive from the Maud Lewis Memorial Park. 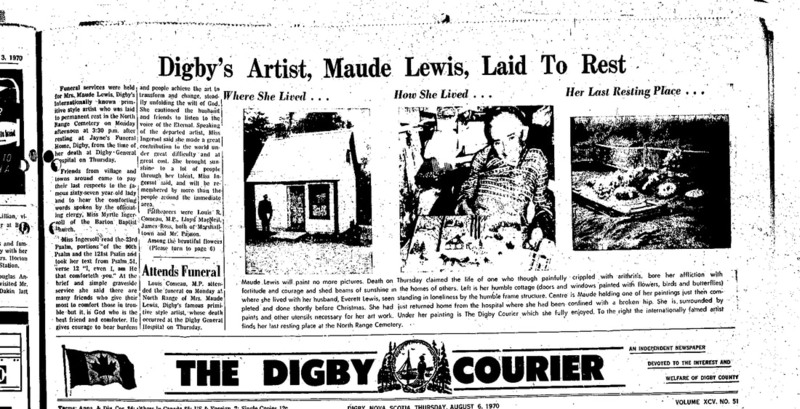 "Maude Lewis will paint no more," read the front page story in the Digby County Courier of Aug. 6, 1970. The author said maudf lived her life with fortitude and courage and shed beams of sunshine in the homes of others." 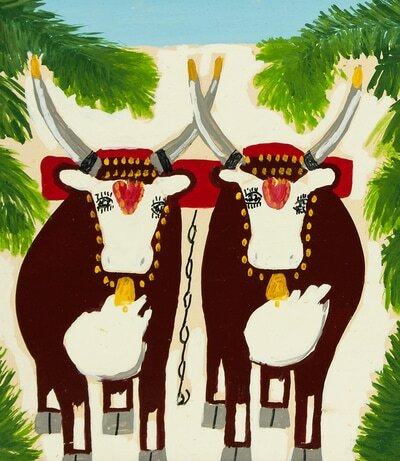 Maud died on Thursday July 30, 1970 and was buried in a child’s coffin on August 3rd. The Municipality of the District of Digby has added a bench at her gravesite and, to make it easier to find, there is a painting of two oxen. 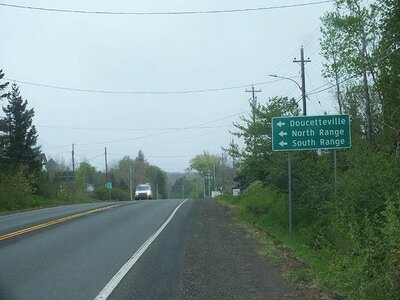 This small rural cemetery is on the right side of the North Range Cross Road, about 5 kilometres south of Hwy 101 in Barton. 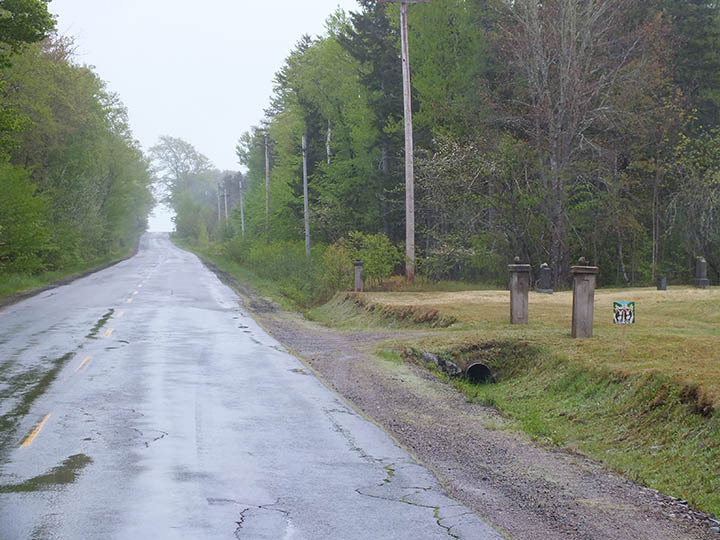 See the Google map below for directions or click on the QR code on an interpretative panel at the Maud Lewis Memorial Park.